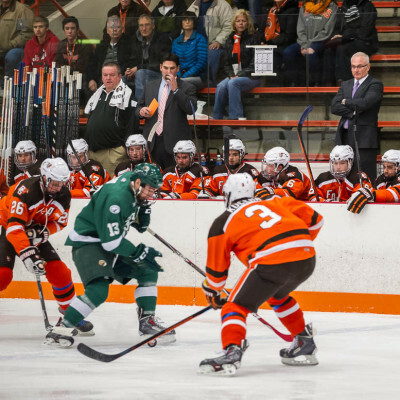 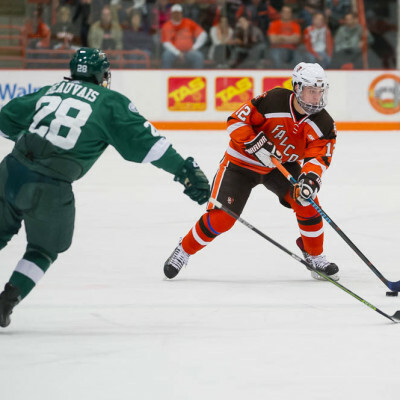 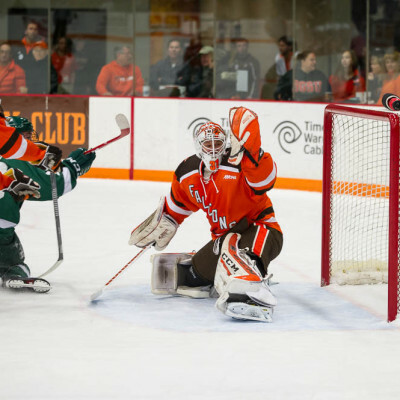 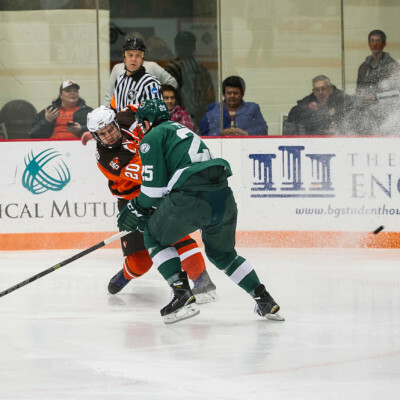 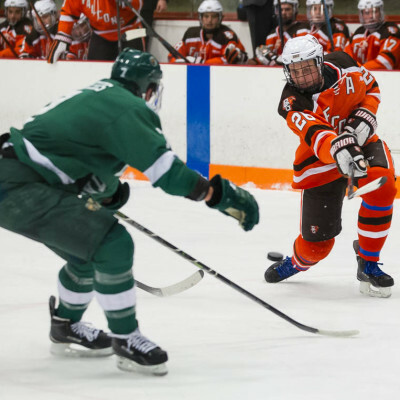 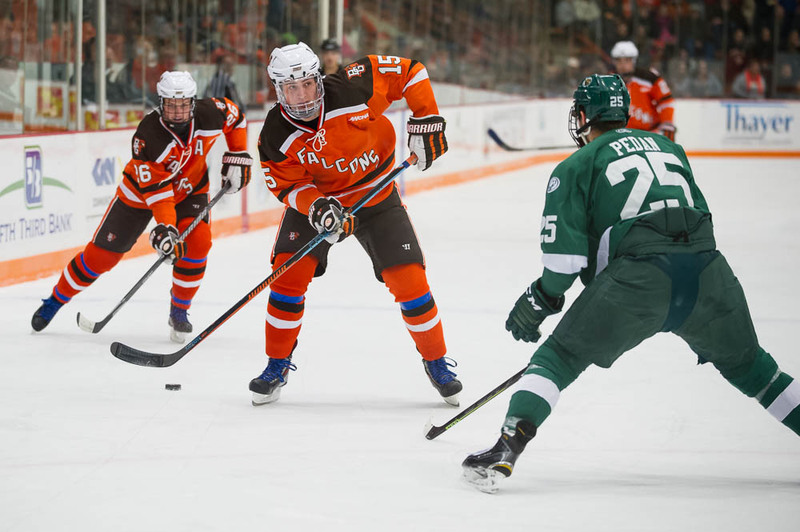 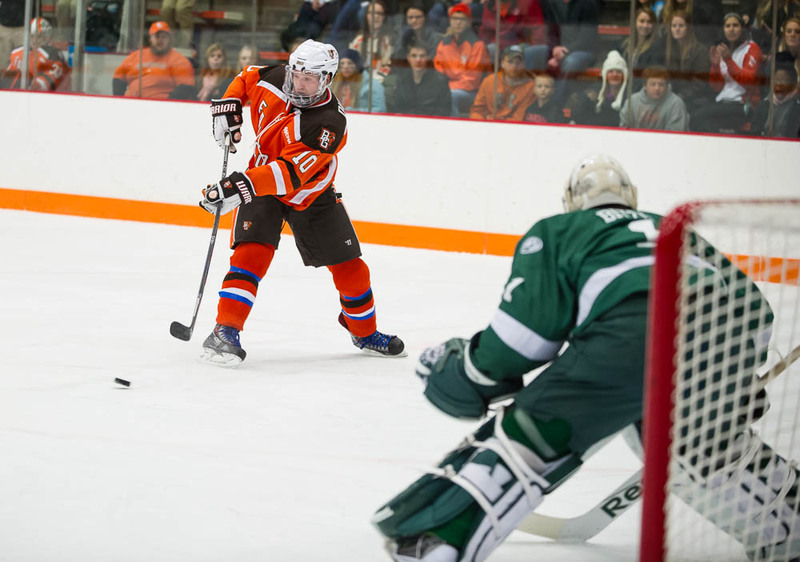 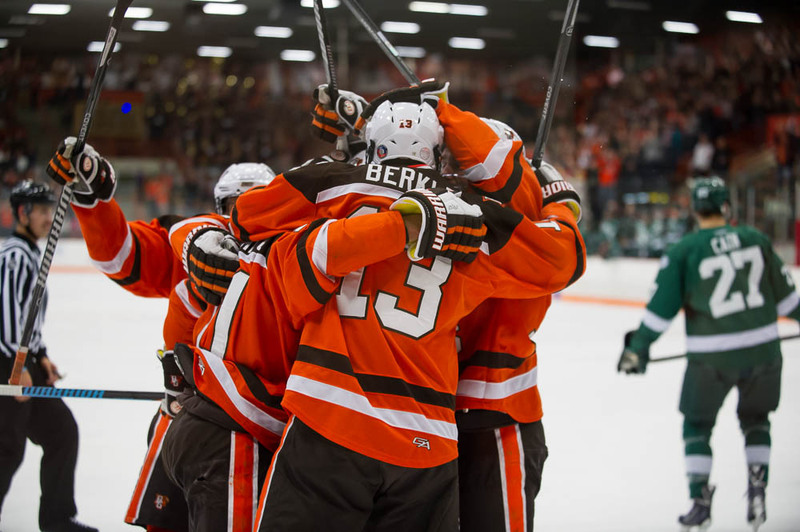 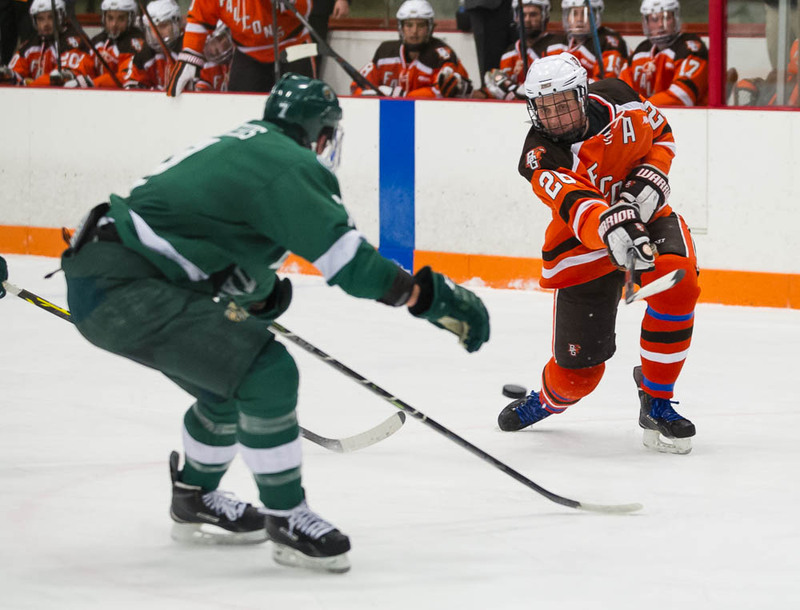 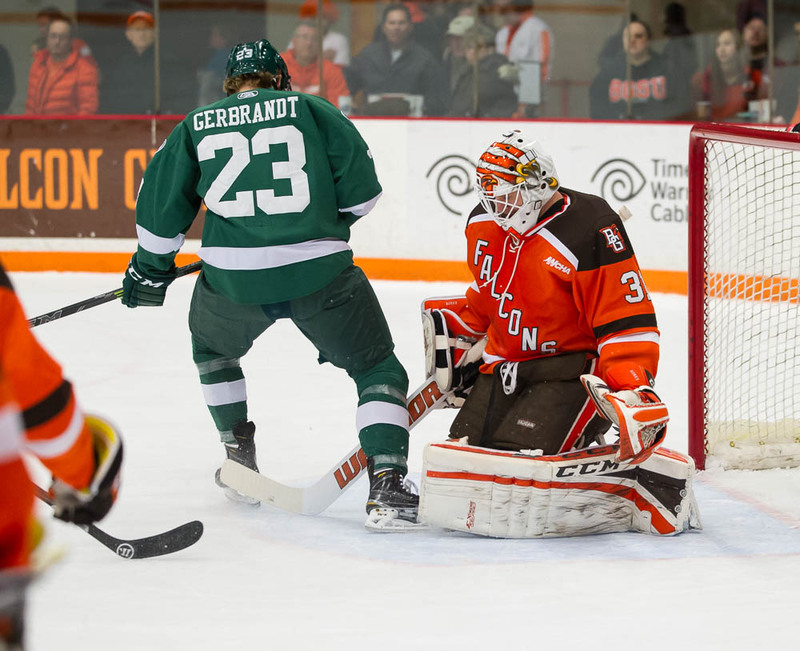 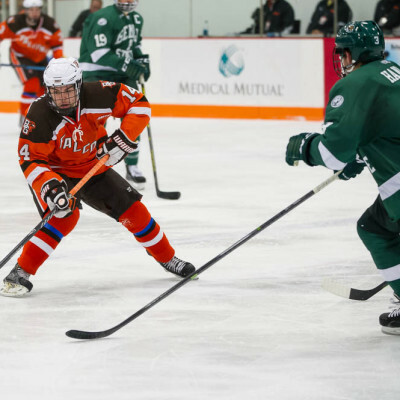 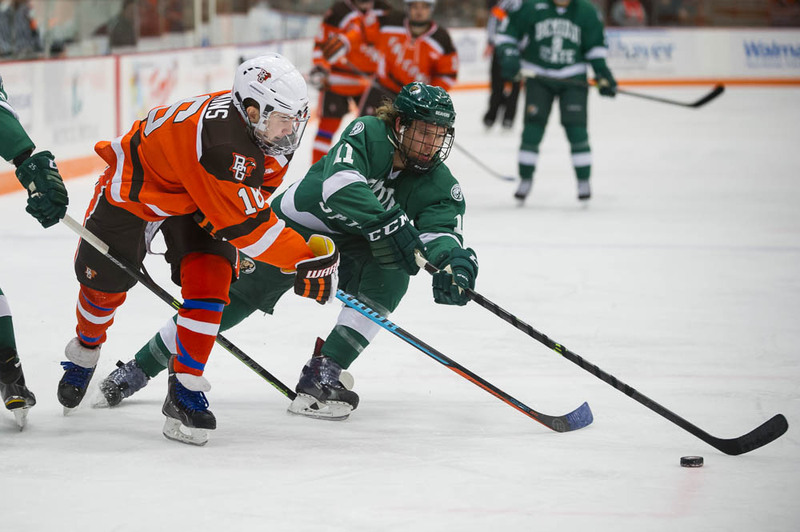 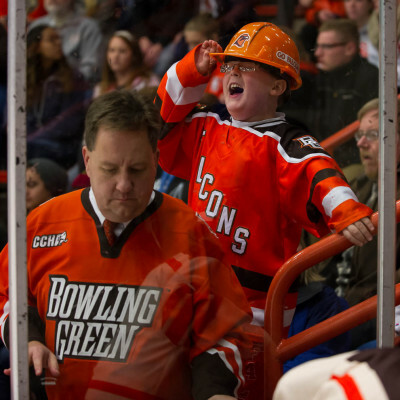 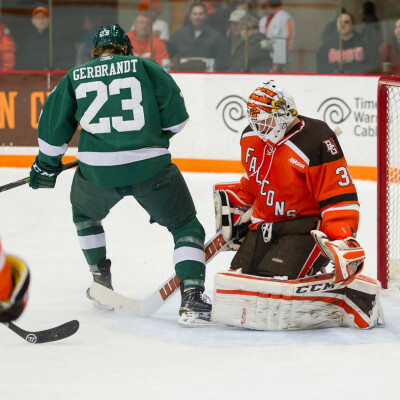 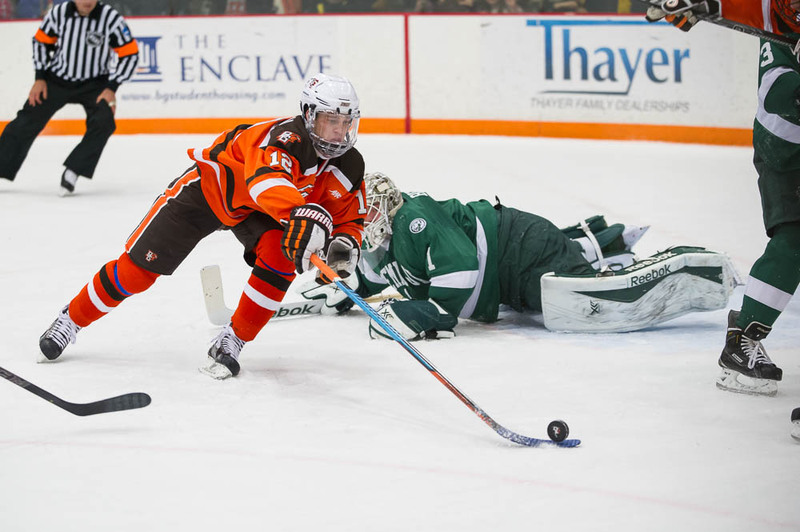 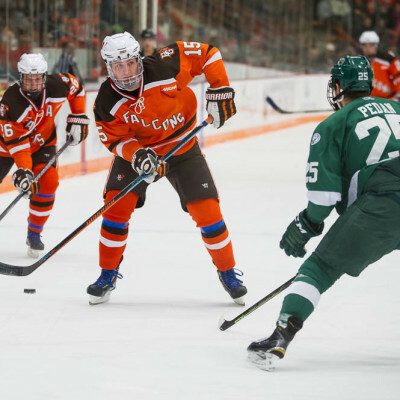 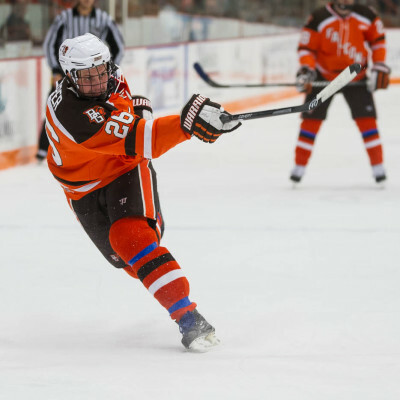 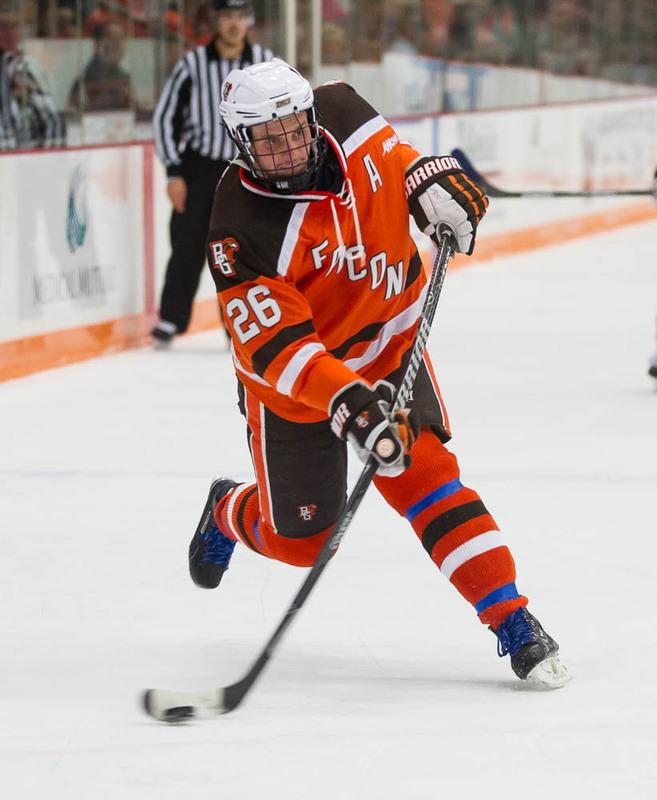 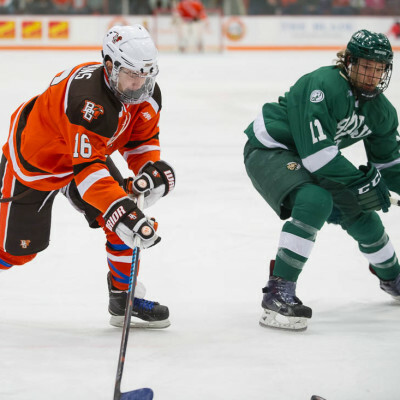 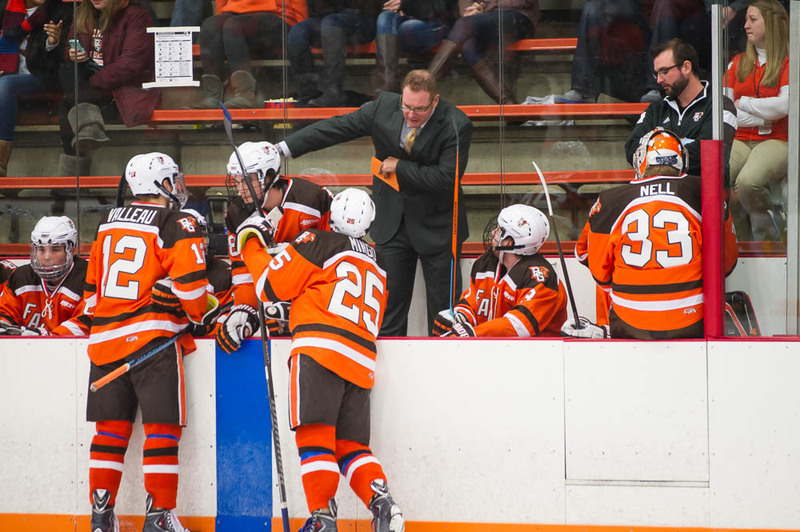 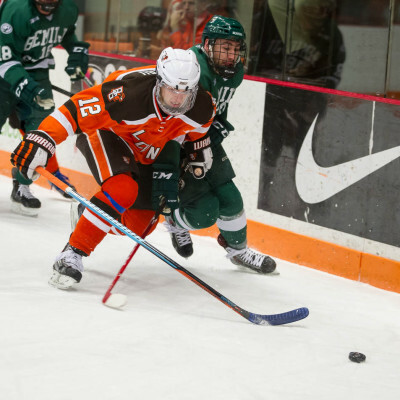 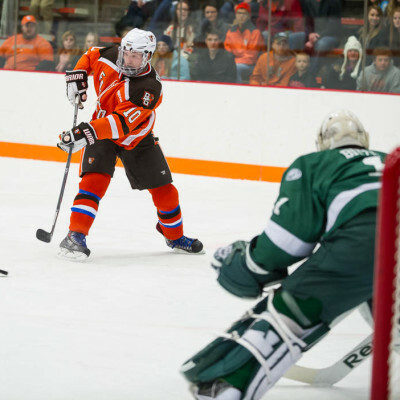 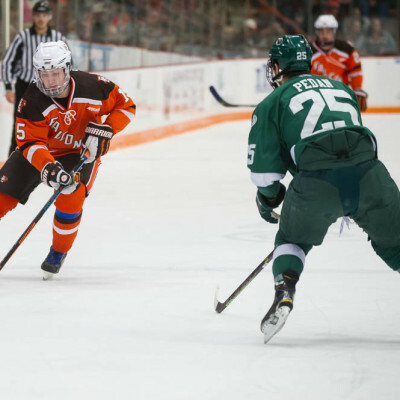 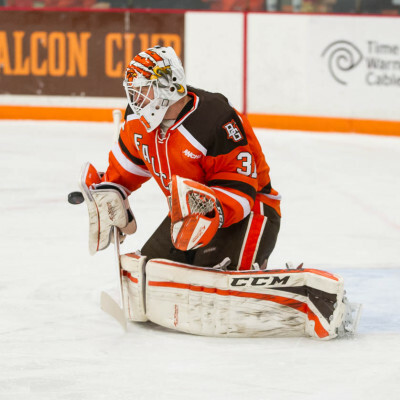 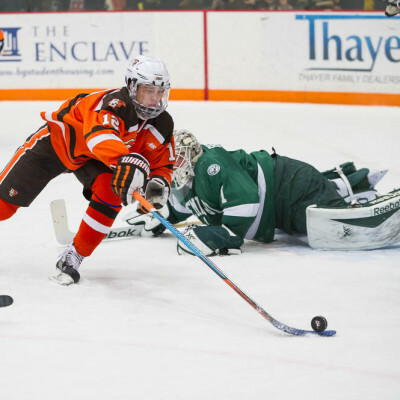 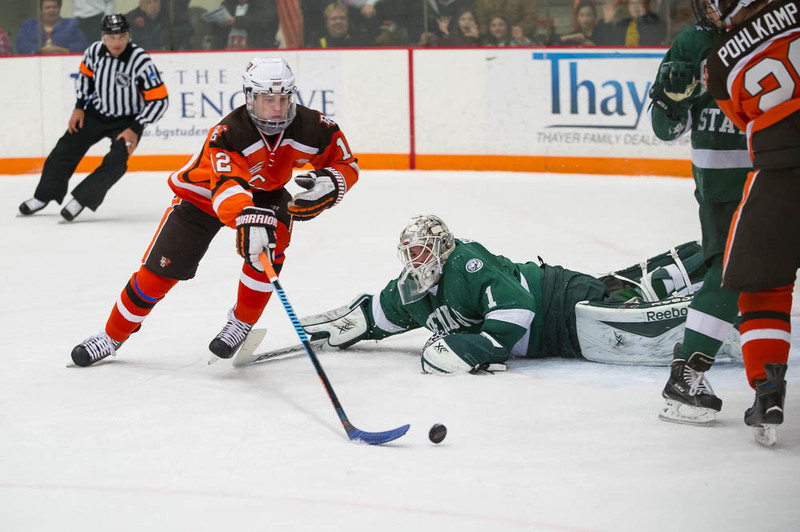 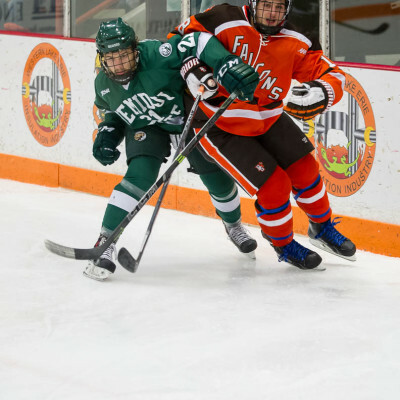 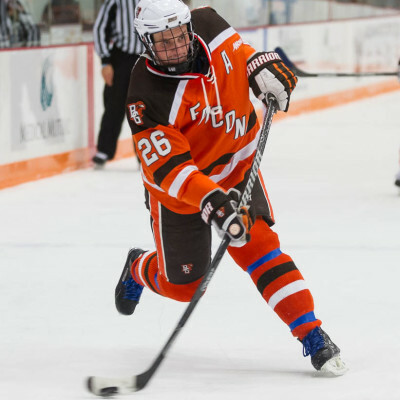 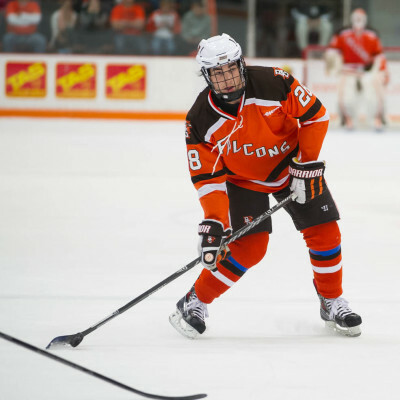 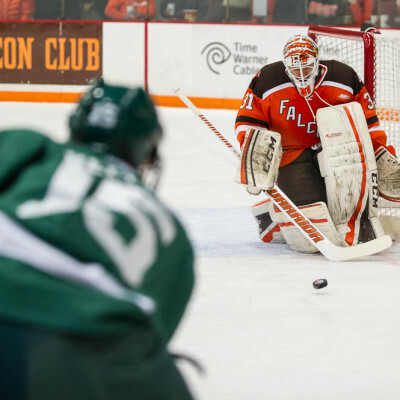 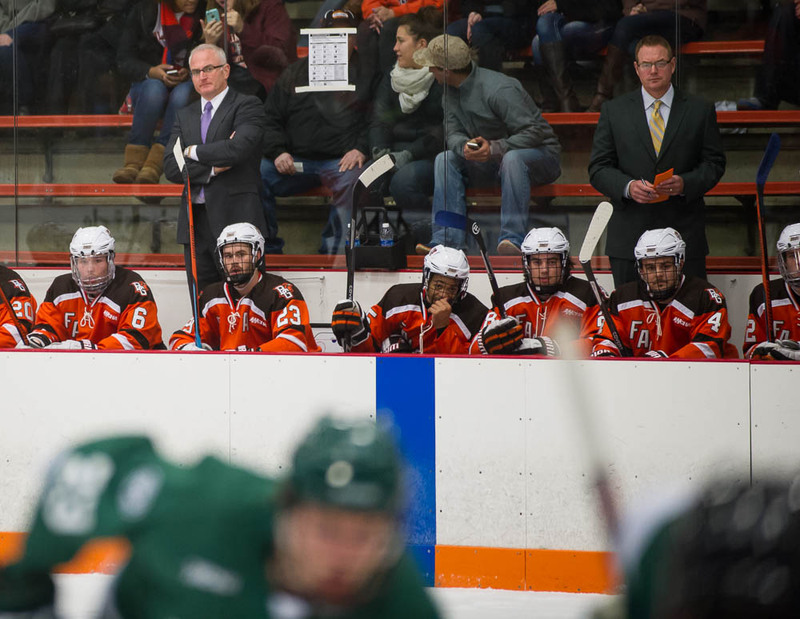 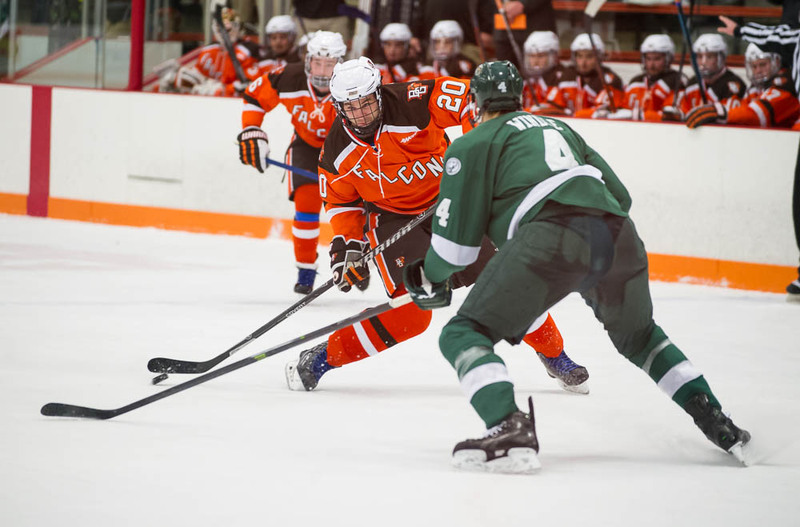 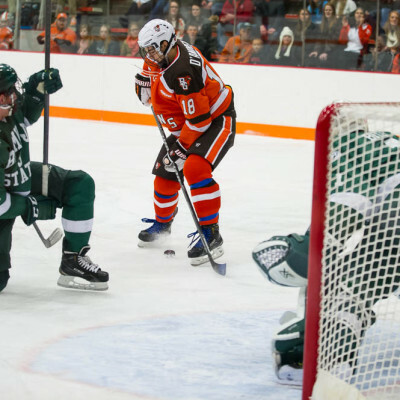 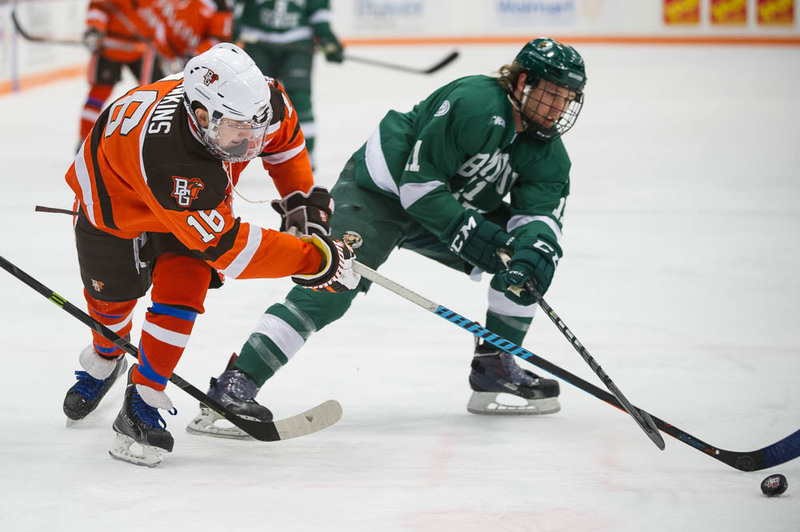 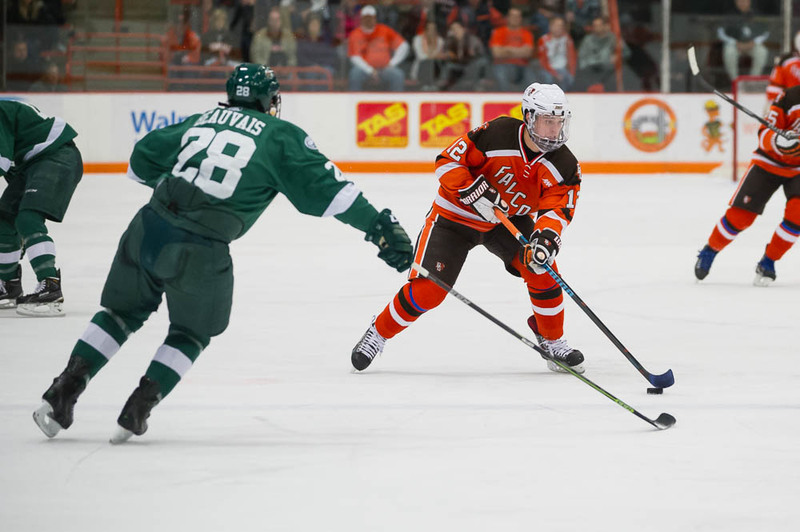 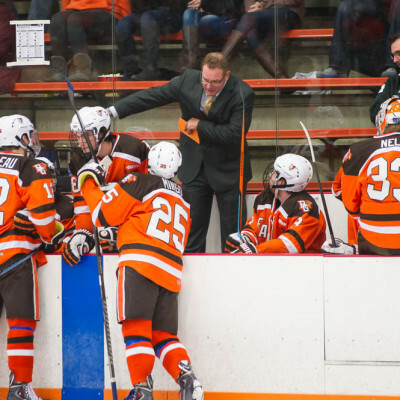 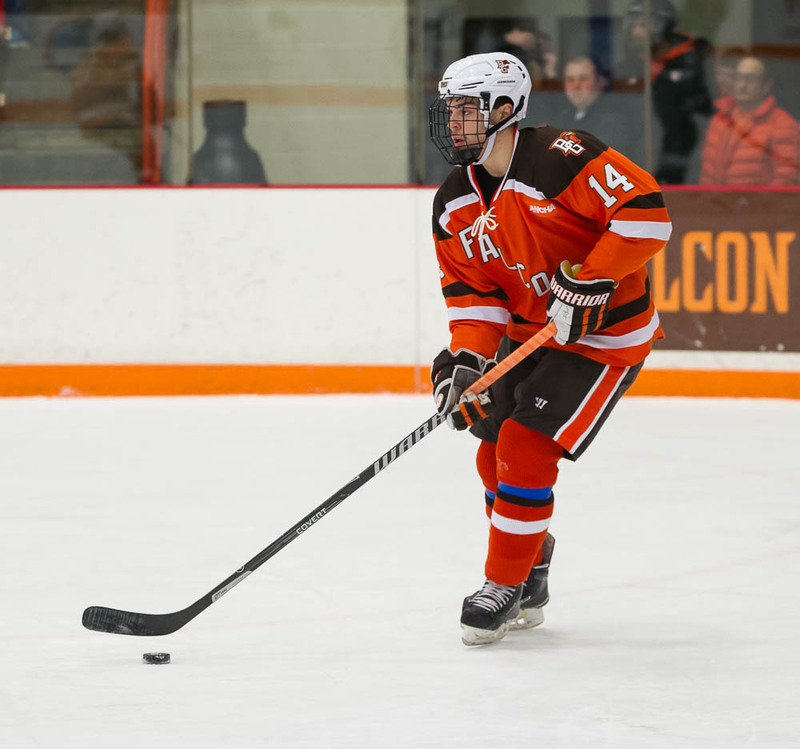 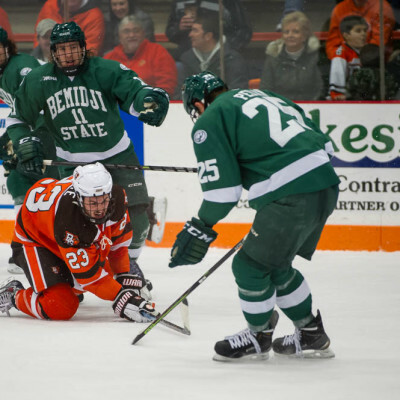 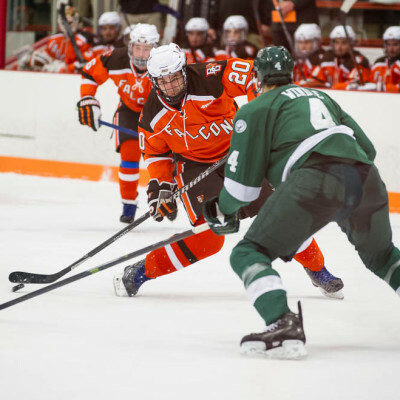 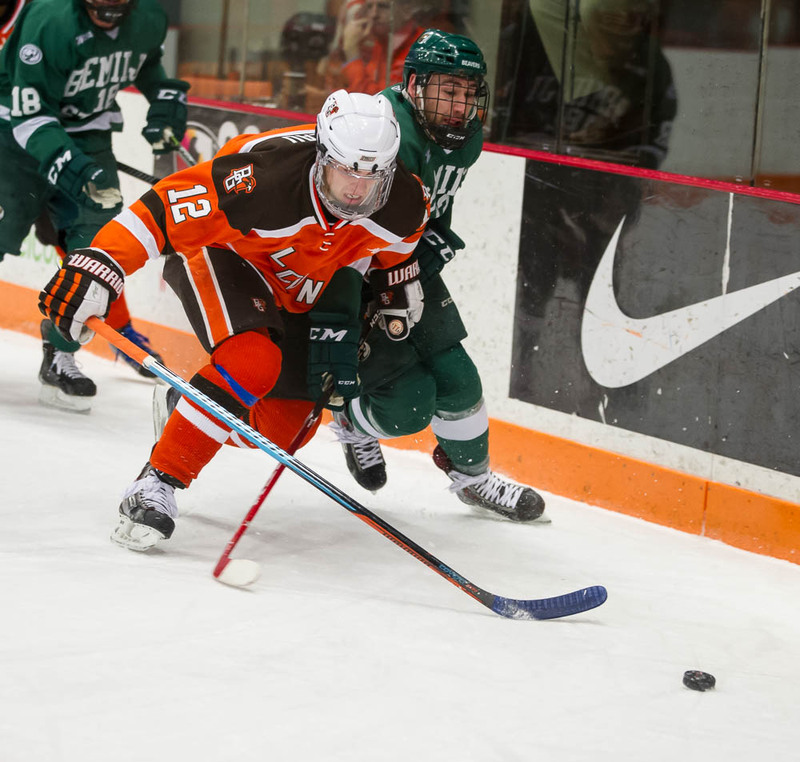 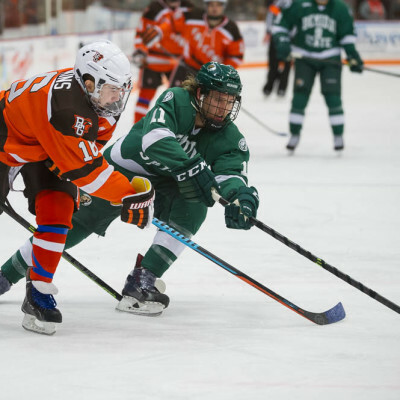 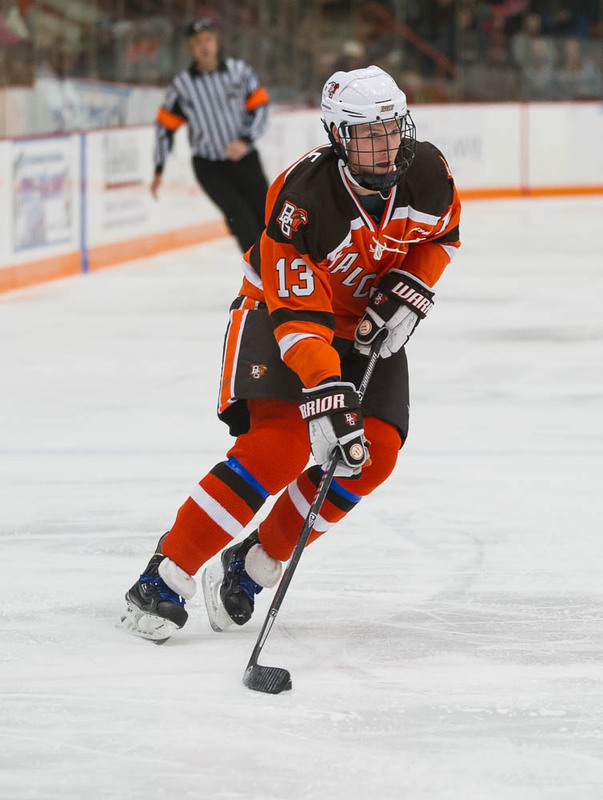 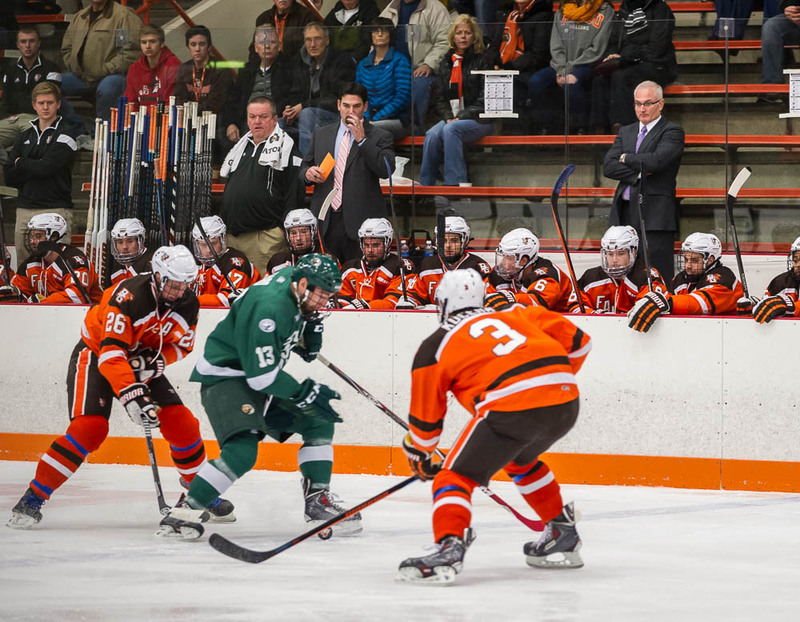 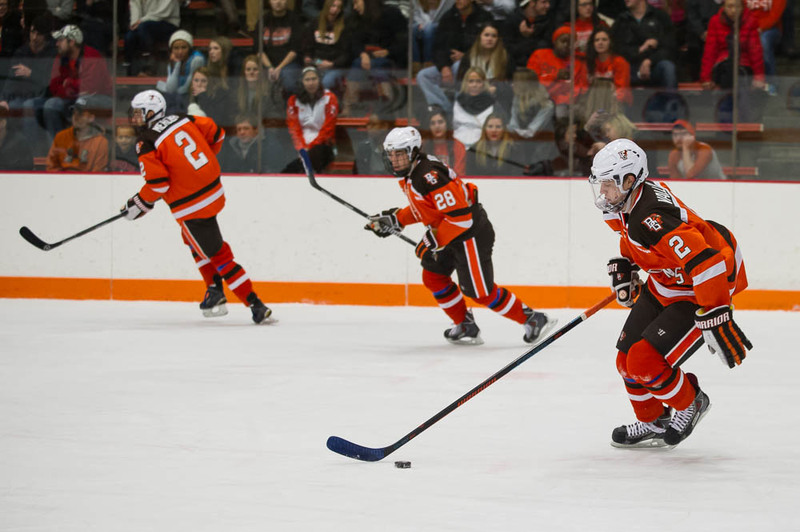 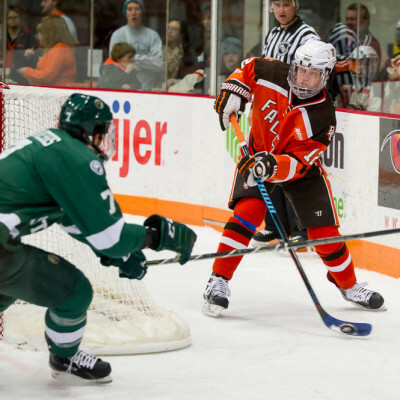 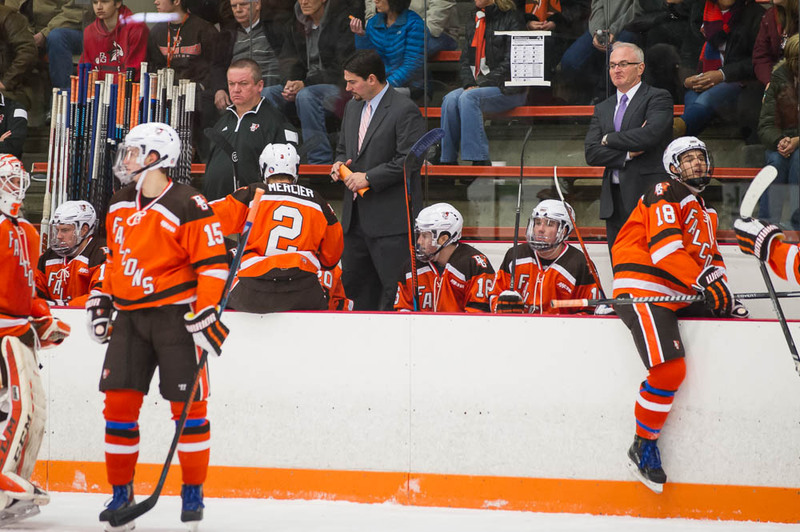 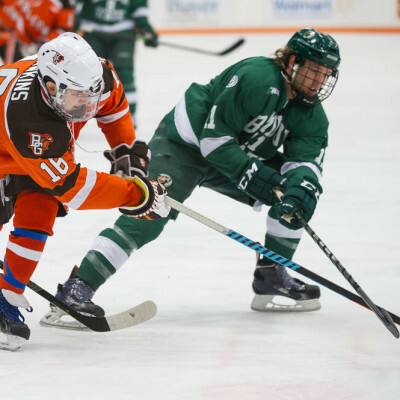 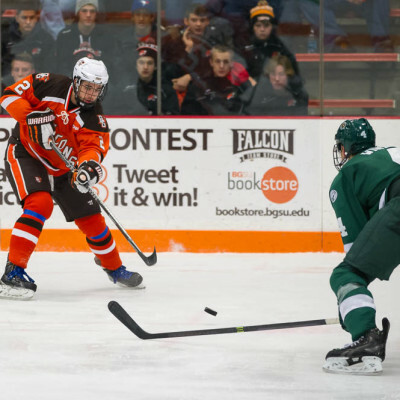 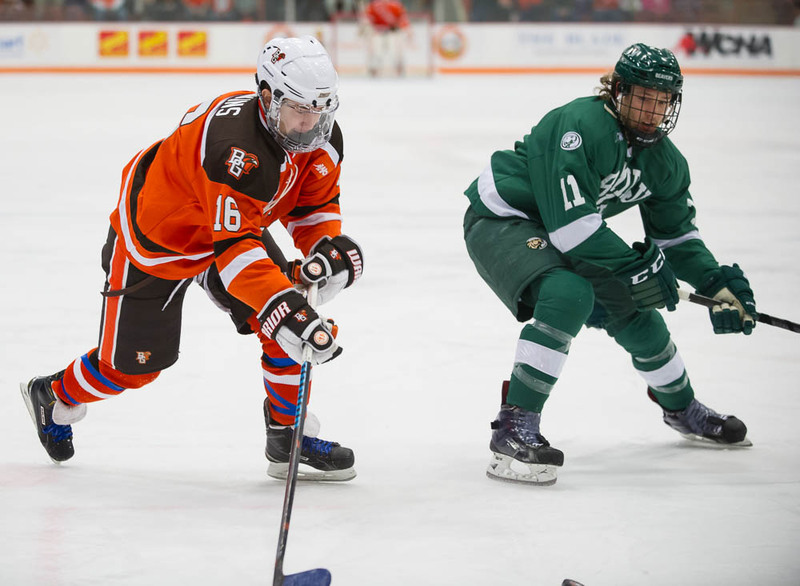 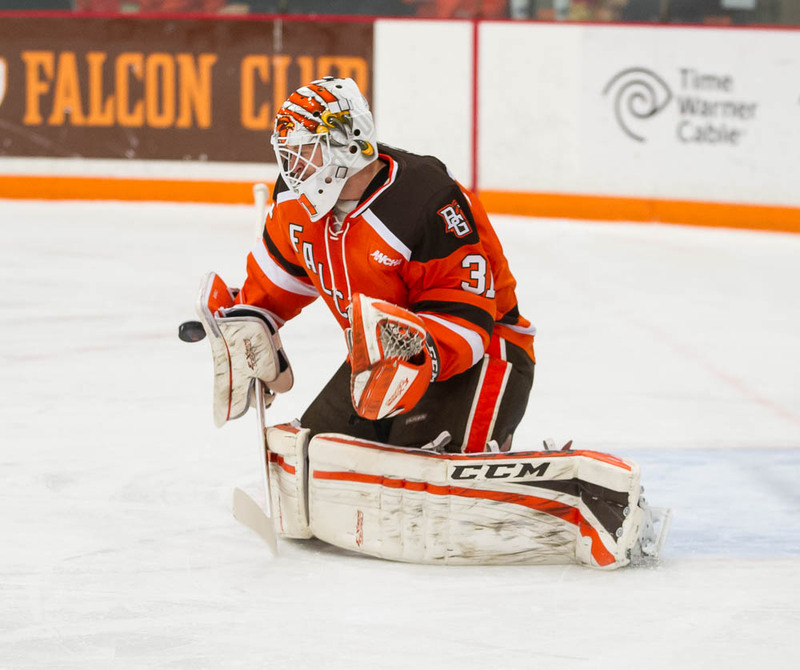 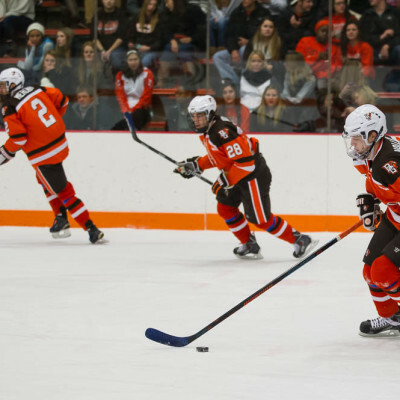 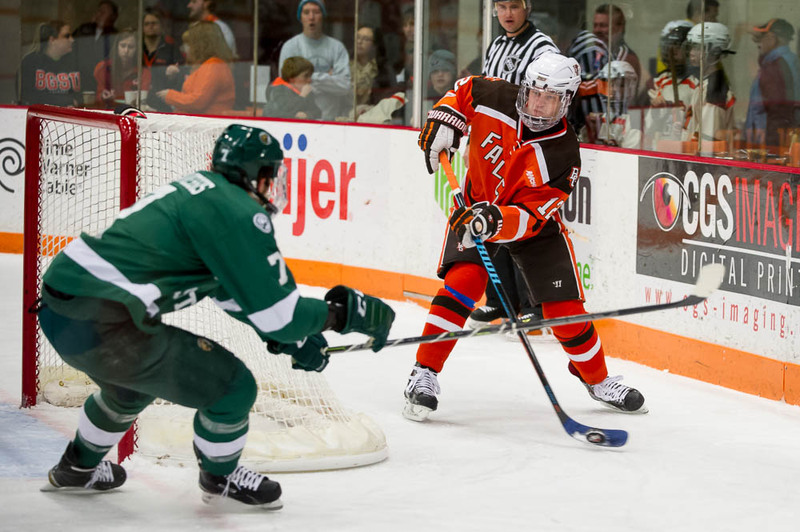 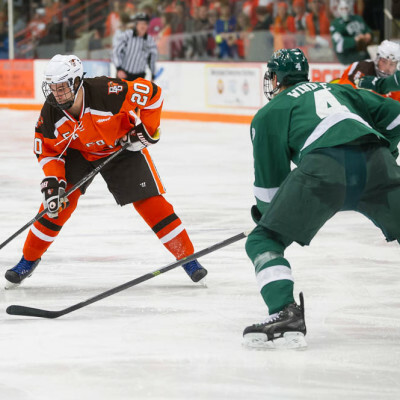 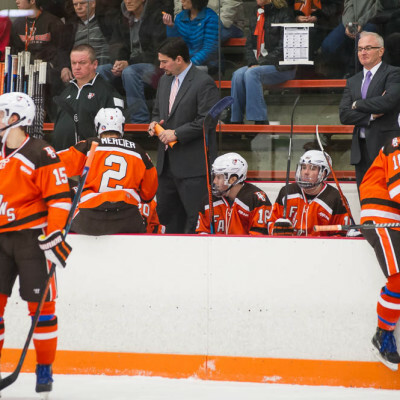 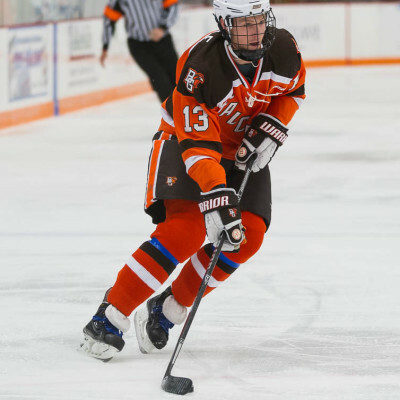 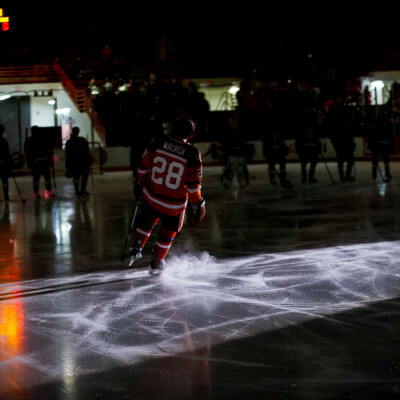 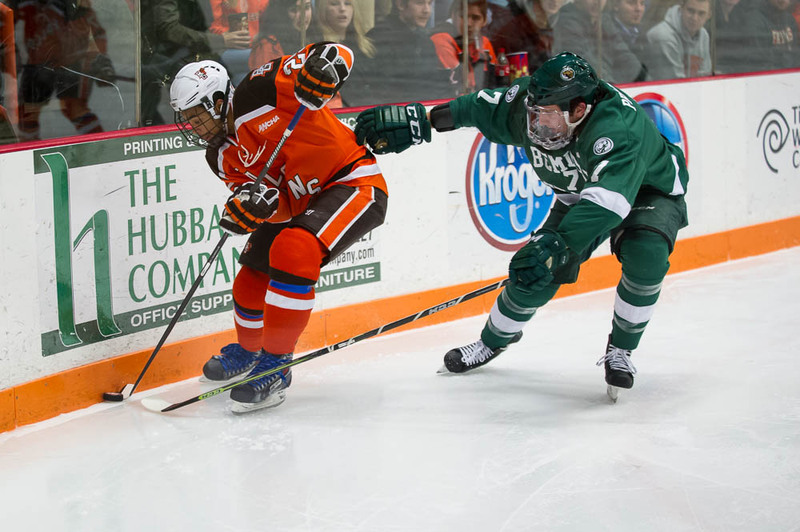 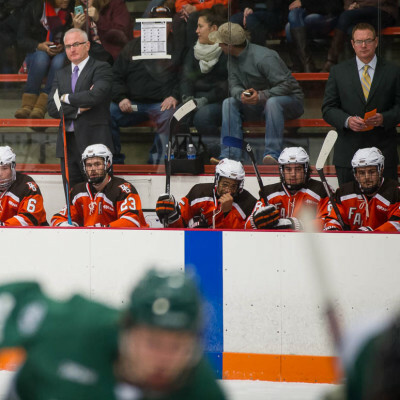 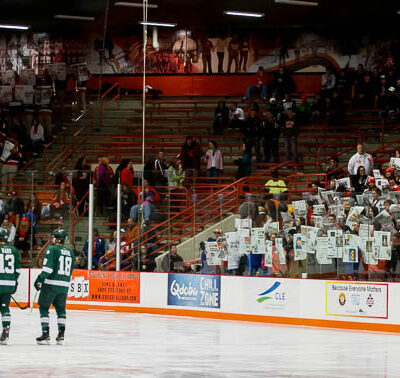 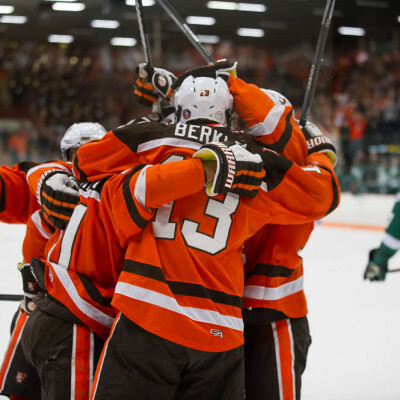 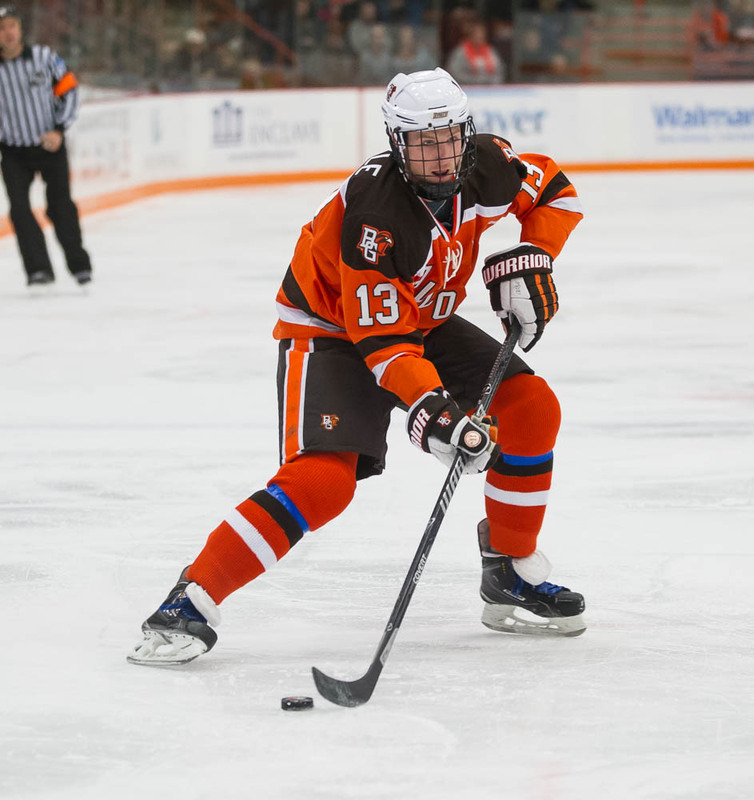 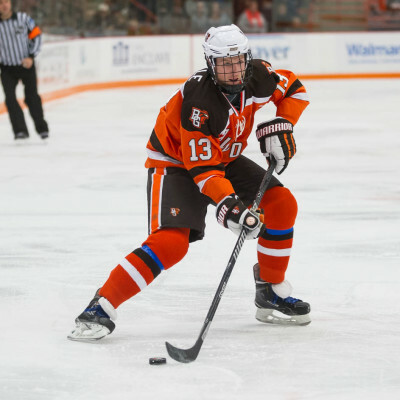 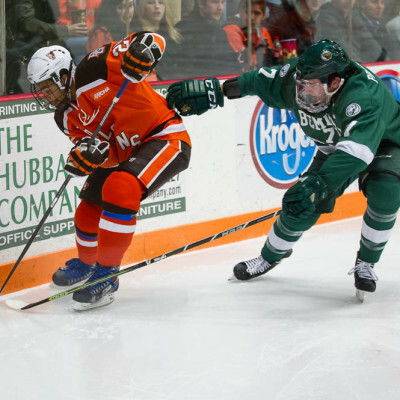 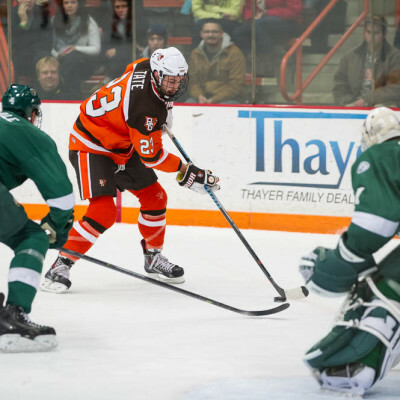 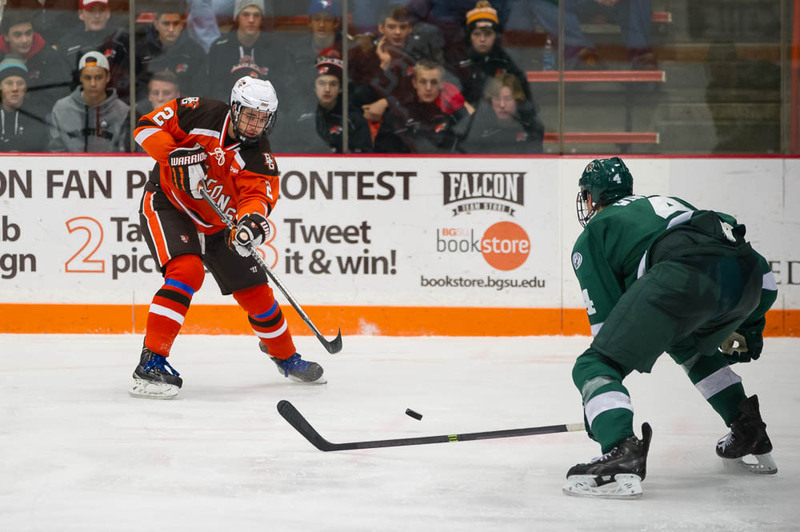 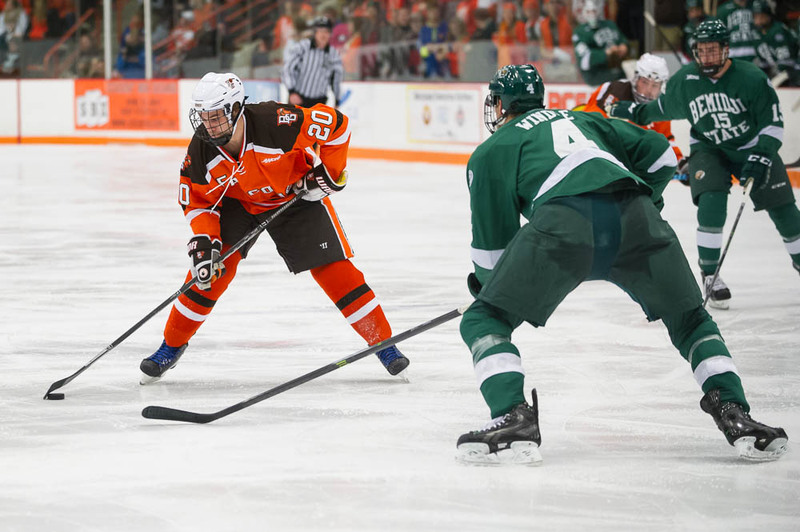 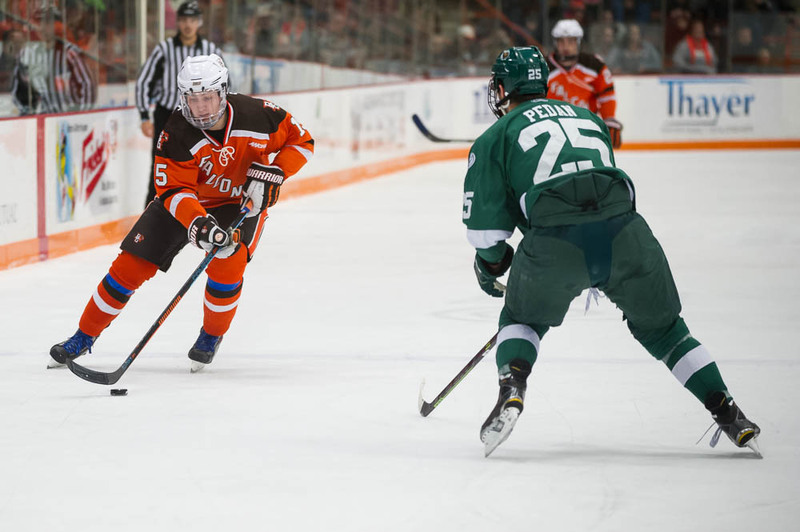 The Falcons fought off some early game sluggishness to defeat Bemidji State 3-1 in WCHA action at the BGSU Ice Arena Friday night. 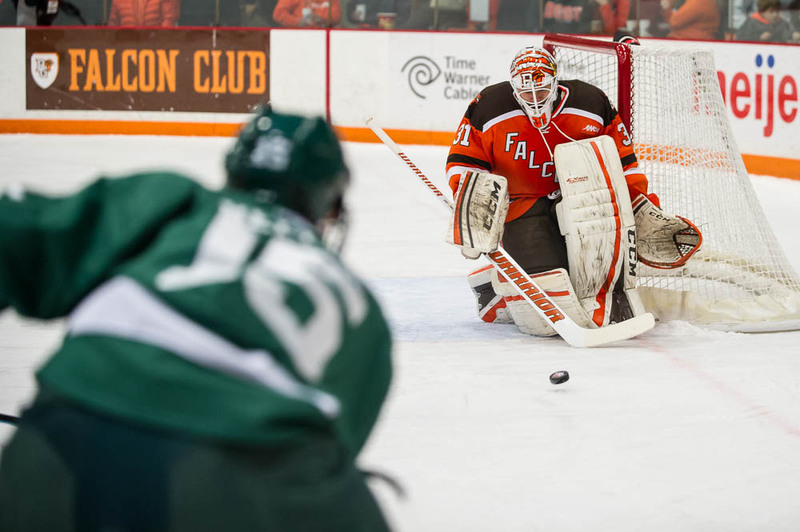 The Falcons played lackadaisically much of the first period, putting only four shots on Bemidji goaltender Michael Blitzer. 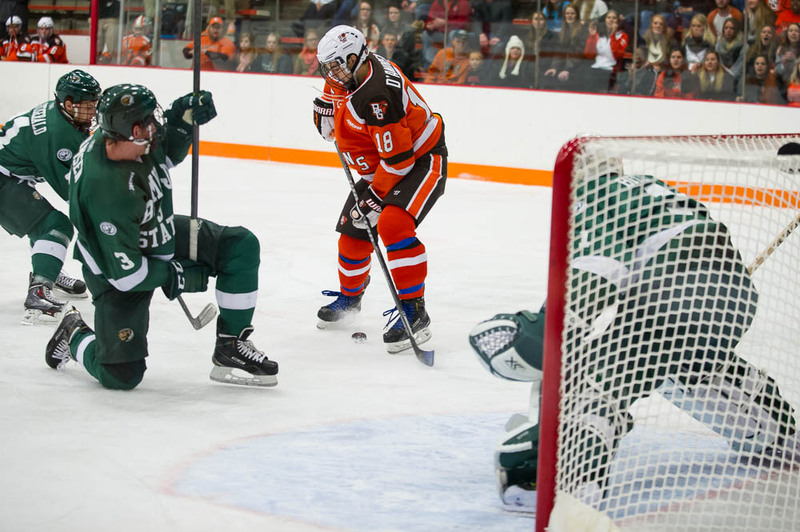 The Beavers got on the board first at 14:07 on a deflection goal from Cory Ward. 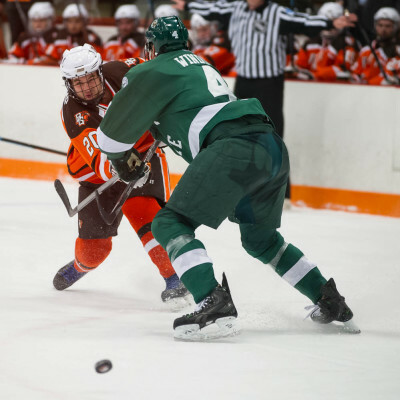 Ward drove down the center of the ice through the slot, eluding a tie-up attempt by BG defenseman Mike Sullivan. 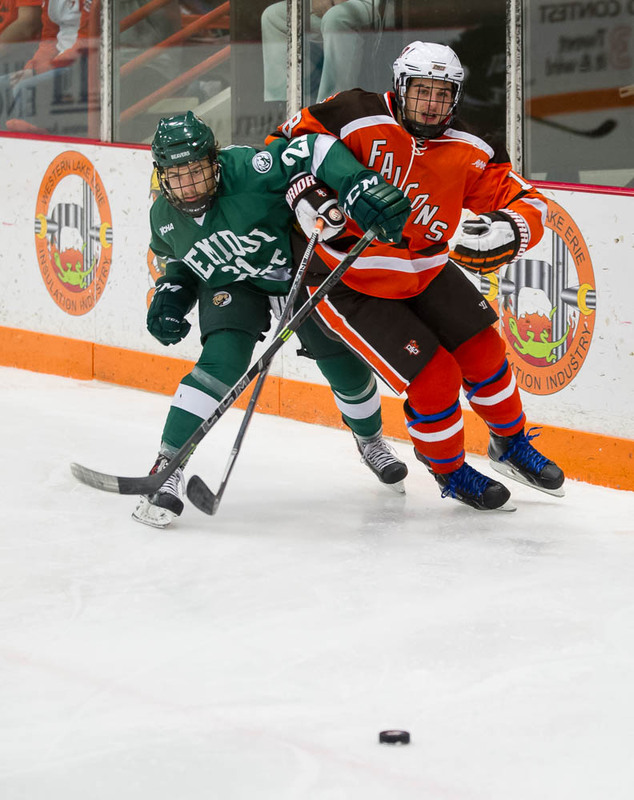 Bemidji forward Markus Gerbrandt hit Ward with a perfect centering pass, that he redirected past Falcons netminder Tommy Burke. 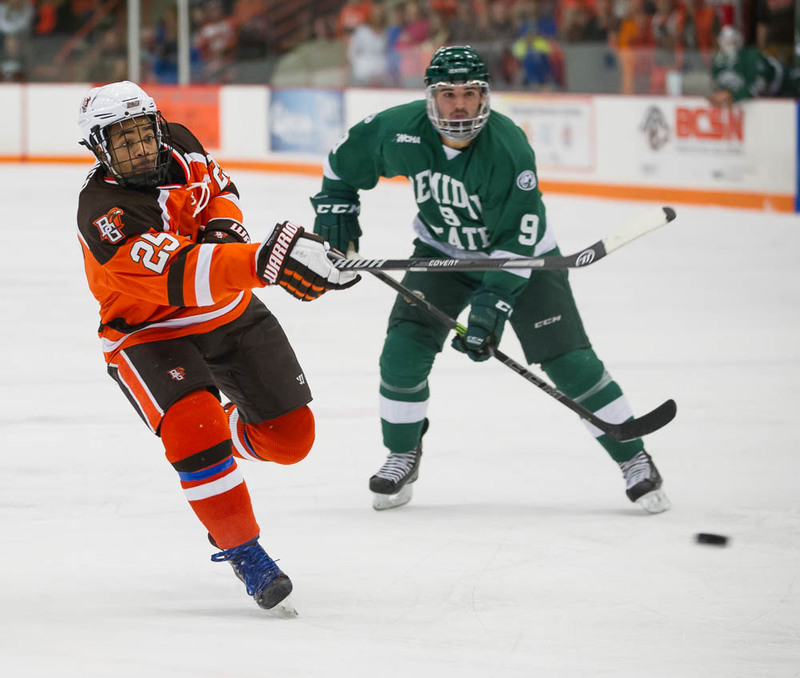 Bowling Green played a much more intense second period, marked by 12 shots on goal in the period. 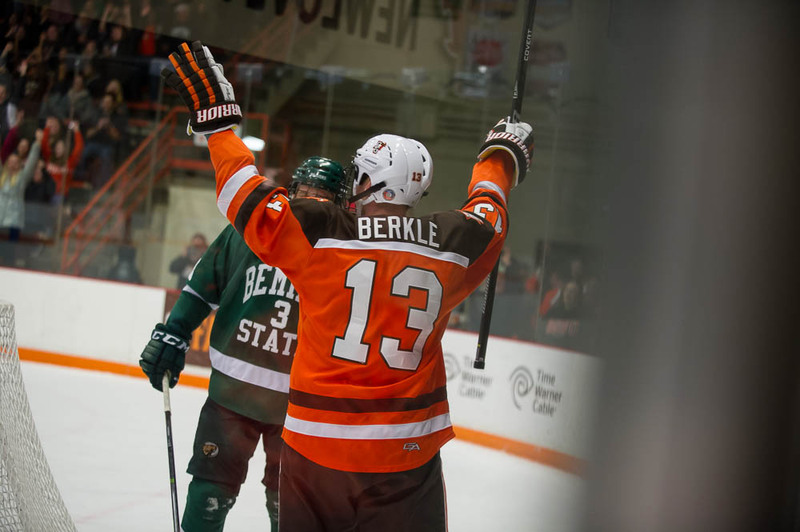 The Falcons tied the game at 11:23 when Adam Berkle scored his first goal of the season. 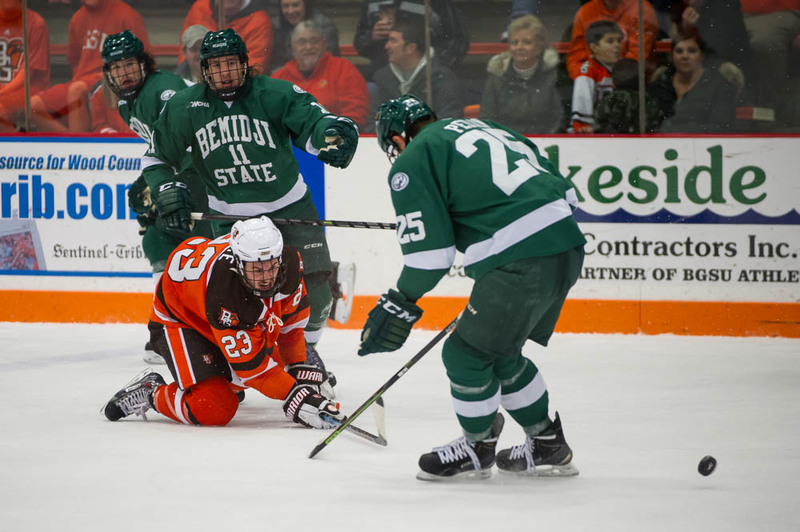 BG had a period of sustained offensive pressure, with Bemidji failing to clear the puck out of the zone multiple times. 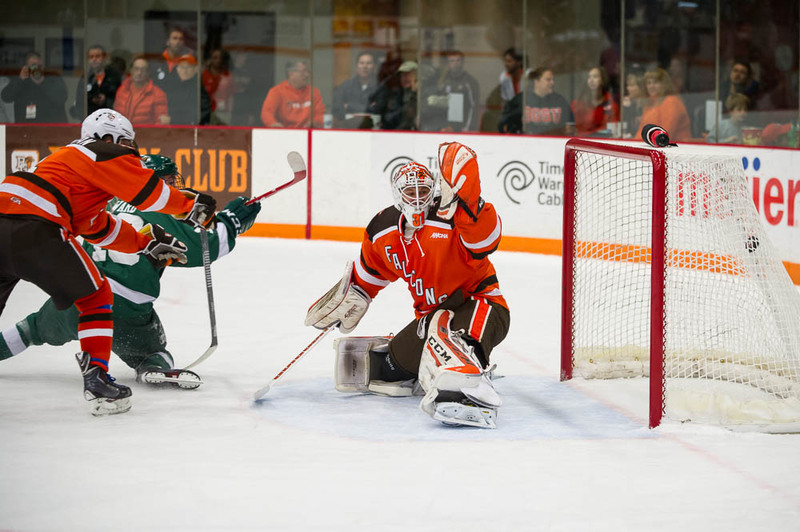 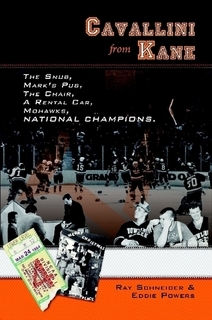 Mike Sullivan ripped a shot from the blue line that went wide an bounced to the side of the net, where Berkle was standing to bat it out of the air past Blitzer. 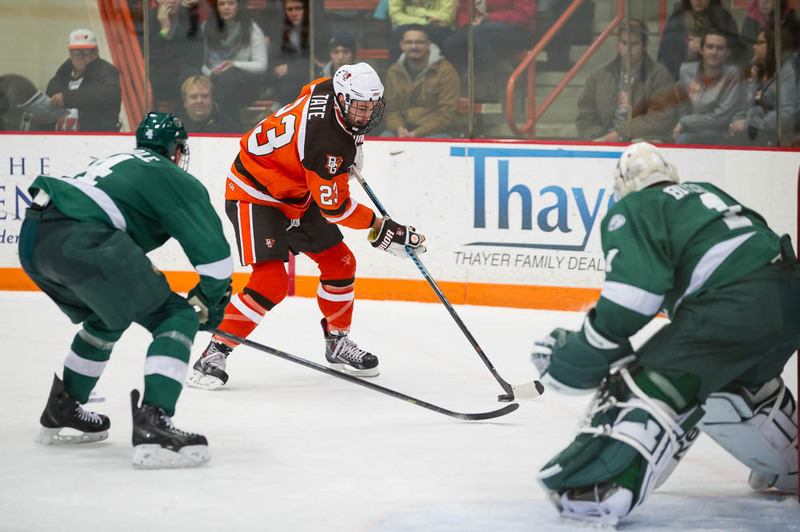 After going largely untested in the first period, Blitzer made 11 stops in the second period. 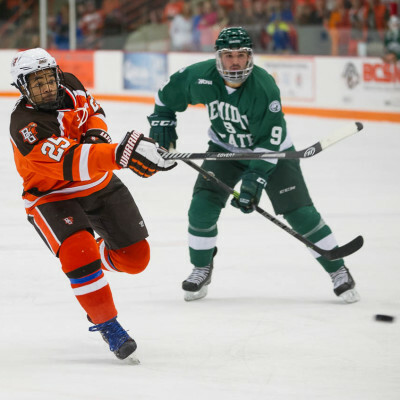 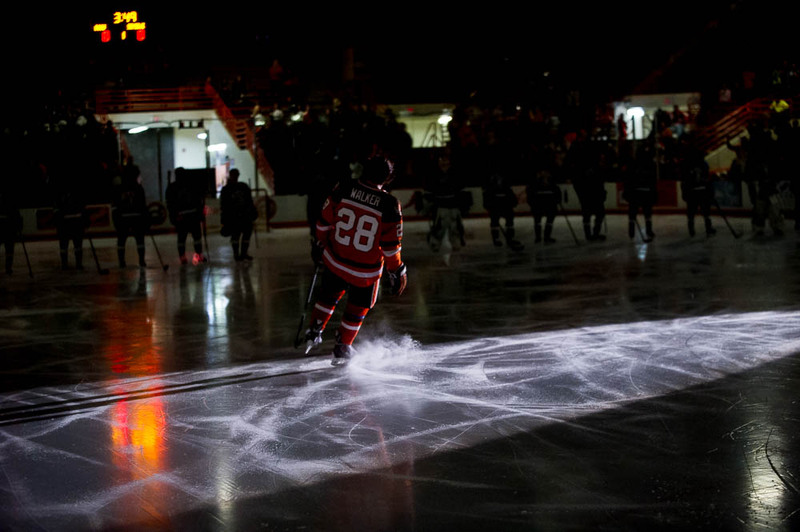 Bowling Green jumped out to a 2-1 lead almost immediately after the start of the period. 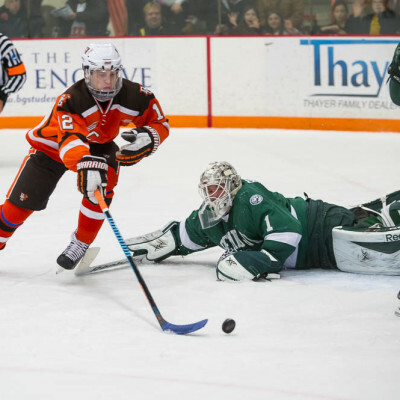 Sean Walker ripped a shot that was blocked and skirted toward the blue line. 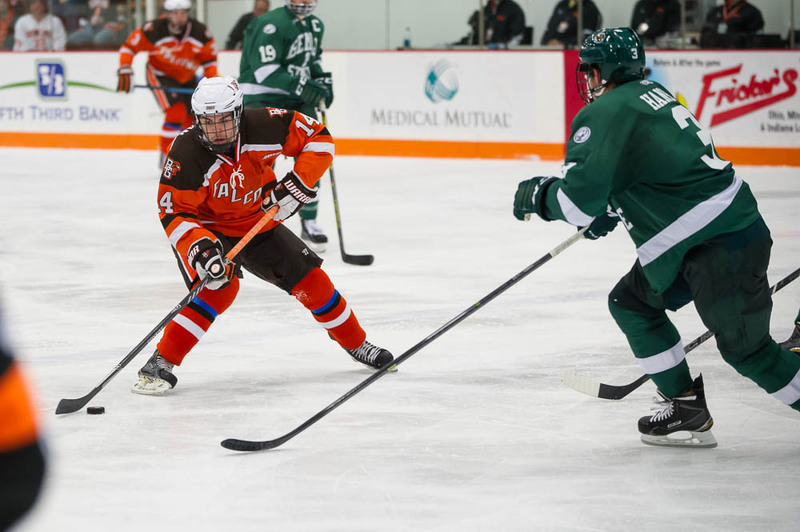 Sullivan corralled it, shifted past a defender and rifled a shot through traffic that beat Blitzer clean. The Falcons held on for the remainder of the period while playing with strong offensive presence. 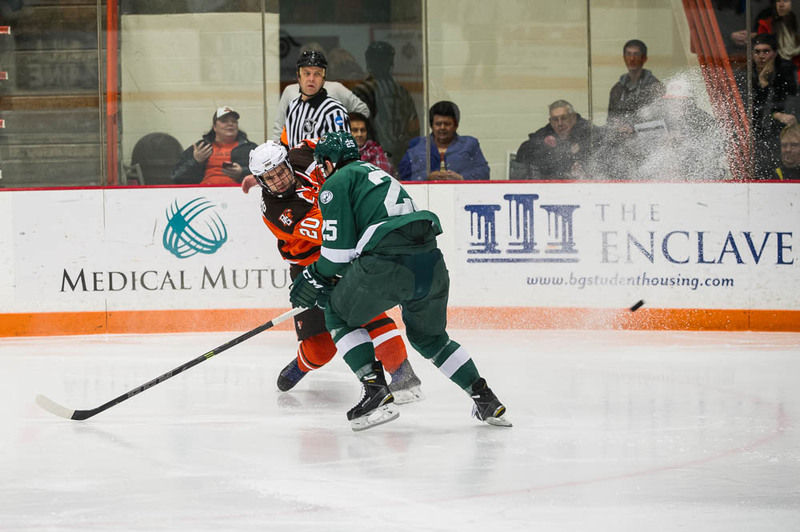 With 13 second left in the game, Jakob Reichart scored his second goal of the season on an empty net from BG’s own zone.